Click here to access online billing. Submit a voided check to our office located at 105 South Park Avenue. Boxes are located throughout the city at Cloverleaf Mall, Starbucks on Hardy Street, at the Water Billing Office and downtown at the Engineering Building (212 West Front Street). You can make a credit card payment by calling our office at 601-545-4634. In the City of Hattiesburg, we provide customers with a reliable supply of safe, clean water and environmentally effective sewage collection and treatment. Our offices are located at 105 South Park Avenue. There, customer service representatives can assist you with in-person payments, account inquiries and rate information. *Minimum amount based on 0-3,000 gallon consumption. Additional cost per 1,000 gallons is $5.06 for water and $5.06 for sewer. The City of Hattiesburg employs an automated meter reading system. It automatically collects the information on your meter through a radio signal and it transfers it to a central database for billing. The person reading your meter only needs to drive through your area to collect the data. Is my meter working correctly? 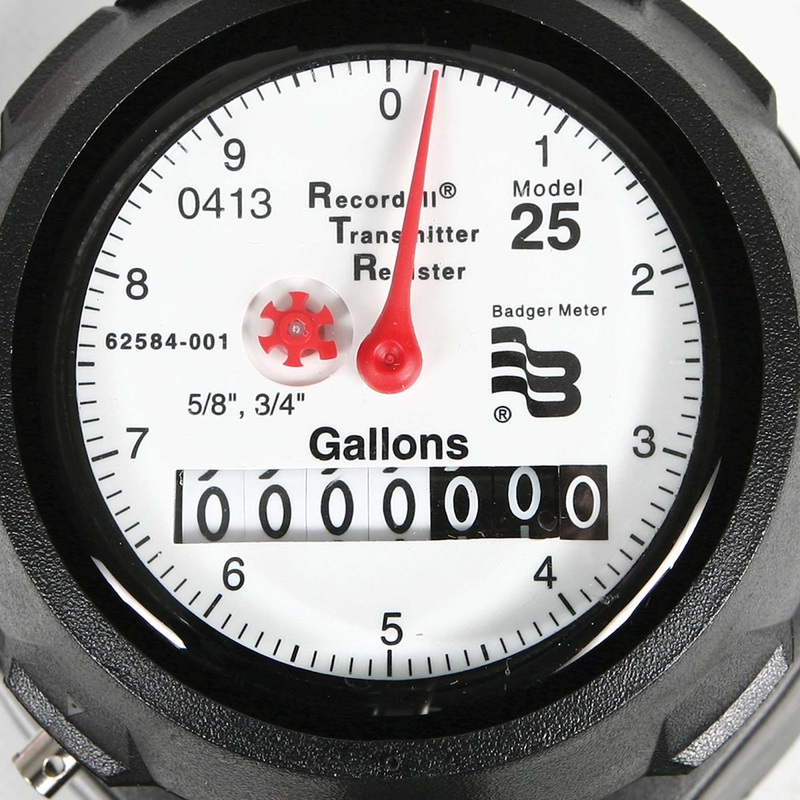 The mechanical design of a water meter is very similar to the odometer in your car. It will only measure the amount of water coming through the meter. The meter will never run faster than it was designed to, and it cannot speed up or register a higher reading than actual usage. As the mechanism ages, the meter slows, measuring less usage and eventually stops registering altogether. During regular maintenance, the City replaces these meters when the need arises. Your bill is based on the amount of water measured on your meter. If your bill is higher than normal, we recommend checking for a leak. These provide for a variety of scenarios (from easy-to-fix to hard-to-locate). If you notice your bill is higher than normal, please take steps immediately to locate and correct leaks. If you or your plumber determine a leak is on the City’s right-of-way, log a request through the Action Line at 601-545-4500 to have our water crews locate the issue and create an action plan for resolving. What do I do if there is water in my meter box? Meter boxes are set in the ground and will retain water from various sources such as rain, sprinklers or runoff. If none of these are sources and you see water in your meter box, you may have a leak. Look at the dials on the meter. Movement on the red indicator tells you water is moving through your meter and that you are losing water somewhere on your side of the meter. If the red indicator is not turning, you may have a service leak. A service leak is a leak on the City side of the meter and does not affect your consumption or your water bill. Why is my sewer bill the same as my water? Your sewer bill is calculated by the amount of water consumption at 100%. Meaning, your sewer bill will cost you the same as your water bill. Hattiesburg is currently using a sewer lagoon treatment facility. I have found and repaired my leak. Can I get an adjustment? The City will adjust the two highest months of consumption. A customer only needs to bring in plumbing receipts for parts or services (or both) showing the repairs have been completed. The adjustment cannot be done until the consumption returns to normal levels, showing that the leak is repaired. What do I do if I’m a renter and my landlord has not fixed my leak? Account holders for all properties, including rentals, are responsible for the water bill. Take steps to immediately report any leaks found to your landlord and understand when someone will be making repairs on your behalf. The City will adjust the two highest months, but account holders are responsible for paying anything over that amount. The City of Hattiesburg is constantly in a state of improvement, whether it’s paving roads, new water and sewer infrastructure projects or neighborhood beautification. The Engineering Department works extensively on Comprehensive Water & Sewer Improvement Projects throughout the City of Hattiesburg. These specific projects are capital investments that have a direct impact on services provided to the residents and businesses in Hattiesburg. Click here to access our running list of water and sewer improvement projects.